Buddhistic priest and chief minister (Kancho) of theTofuku-Ji School of the Rinzai-Shu Sect of Zen Buddhism. Ekyo was born in Isobe Town of Mie Prefecture in 1896. When Ekyo was 12 years old, he received a Buddhistic cult (Tokudo) from Hayashi Eshin, the chief priest of the Seiden-Ji Temple. At that time, Ekyo changed his surname from Ichikawa to Hayashi. 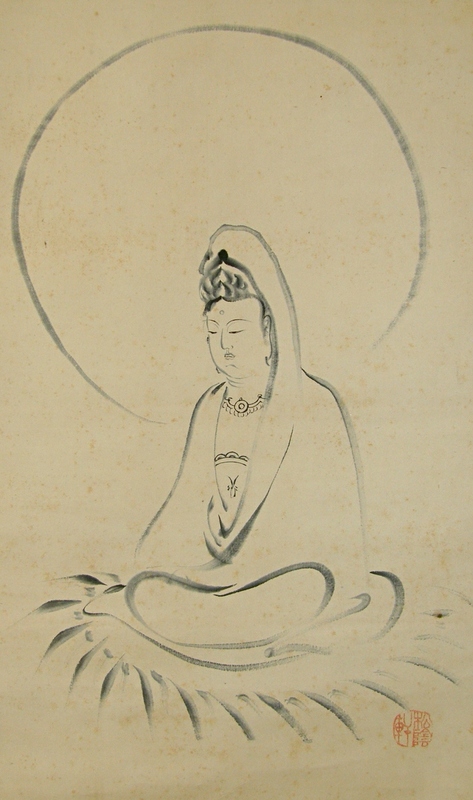 In 1930, he became the chief priest of the Myoshin-Ji Temple. In 1950, he became the chief priest of the Tofuku-Ji Temple, and also became the chief minister (Kancho) of the Tofuku-Ji School of the Rinzai-Shu Sect. Ekyo deceased on December 13 of 1979 at the age of 84. There are many small spots on the drawing part. Several small holes at the top of the mounting are recognized. 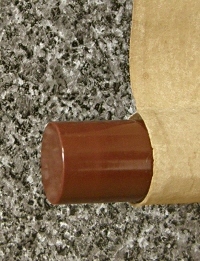 The both roller ends have recently been replaced to plastic ones. 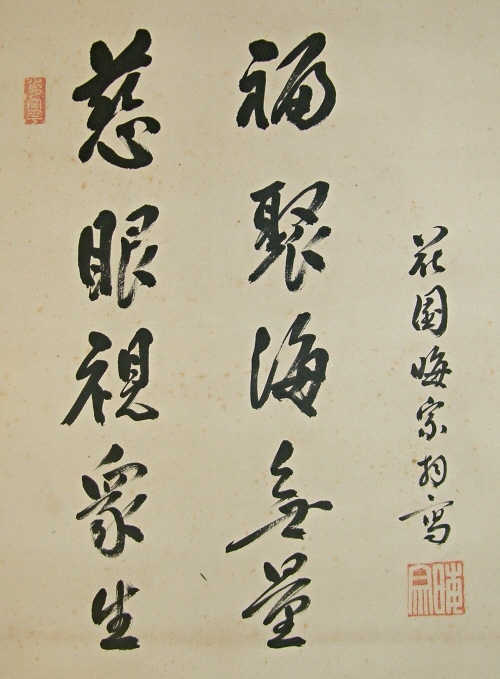 Although, the Kannon Buddhistic Goddess (Guanyin) and a Zen phrase are drawn artistically using Japanese Fude brush and black Sumi ink. The phrase means that "The Kannon Goddess always warmly watch over us. If you find faith in the Goddess, you will receive a great amount of fortune like a sea.